Bob Dylan’s Self Portrait – a record which Getintothis’ Alan O’Hare argues depicts an artist searching deep inside his soul and finding something very real. Bob Dylan makes music for grown ups. His best work remains some of recorded music’s most intelligent art and has travelled from the rails of adulthood, through the tunnels of love, marriage, children and divorce, and crashed in and out of heaven, before settling down at the station on the edge of town. By the time of his early 1970s recordings (we’re talking about Self Portrait and New Morning), Dylan was sick. And tired. Sick and tired of the “voice of a generation” label that he’d been saddled with following an intense period in the 1960s when he wrote some great songs. “I released one album (a double) where I just threw everything I could think of at the wall and whatever stuck, released it,” he writes in the masterful Chronicles Volume 1, talking about how he tried to swim away from the mainstream. The punchline? Self Portrait sold in big numbers and critical eyes turned to him even more. All this has gone down in music history, of course, and the Dylan tale is set in stone. 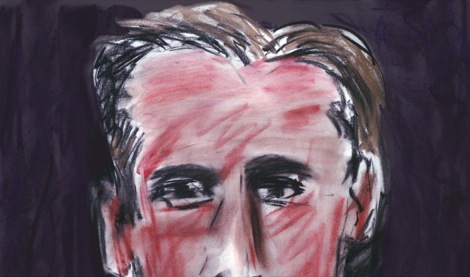 It was, that is, until the release of Columbia’s latest set of ‘long lost’ Dylan recordings: Another Self Portrait. The double album is a revelation. A revelation as relates the Dylan myth, that is. For, simply put, the record contains around 20 examples of a great singer singing a great song. True, Dylan himself has publicly (that’s the key word here) written off this period of his career as (self) sabotage, but the ‘new’ recordings reveal an altogether different story. The songs on Another Self Portrait are a grab bag of discarded originals, miscellaneous covers and demos of old folk tunes. So far, so what. But it’s the very nature of these gems that startle you: they’re as pure as music comes. 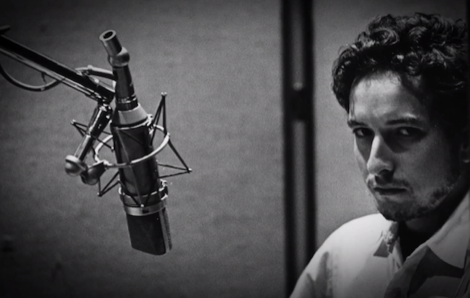 Dylan sings with beautiful clarity, a hint of vulnerability and perfect pitch (yes, really). Songs like Pretty Saro, I Threw It All Away, Spanish Is The Loving Tongue and If Not For You (re-imagined as a piano and violin ballad) are so powerful in their simplicity, that you can actually hear an artist engaged with his work. Dylan went on to release two masterpieces in the 1970s – Desire and Blood On The Tracks – but he never would have made it to those records without these recently discovered recordings. And that’s what makes them so important in the Zimmerman story. They reunited the singer with his muse and put him on the path to (artistic) redemption. Sure, there were a few more bumps in the road in the 1980s, but the collection of folk songs he released in the early 90s, as Good As I Been To You and World Gone Wrong, soon put that right and placed him firmly in the contented twilight he occupies today. At a time when Dylan believed in nothing, not even himself, it was a set of songs like Little Sadie (old), Went To See The Gypsy (new) Annie’s Gonna’ Sing Her Song (borrowed) and Bring Me A Little Water (blue) that brought him around and switched the electricity that howls through him back on. “Those old songs are my lexicon.” Like the North Star, Dylan provides a guiding light for any creator of music with that statement. After all, who said you have to do something original to break new ground? Fans of music go to songwriters, great songwriters like Dylan, for a sense of what’s real. A sense of what is eating at the artist, as they feel – deep down – that the same thing is eating at them, too. As the picture painted by Bob Dylan‘s Another Self Portrait reveals, their hero probably goes to music for the very same reasons. Getintothis reviews Bob Dylan at the Echo Arena.